All the talk in the UK parliament is about indicative votes on Brexit. But what are they, and how would they work? An indicative vote is an opportunity for MPs to vote on a series of options in a particular situation to establish whether any of them can command a majority in the House of Commons. As an expression of the House's will, it is not necessarily binding on the government. A cross-party group of MPs, led by Conservative former ministers Oliver Letwin and Dominic Grieve and Labour's Hilary Benn, used a vote to seize control of the parliamentary agenda tomorrow so a series of votes can be held then. The Letwin amendment was agreed by 329 votes to 301, a majority of 27, with three ministers resigning from the government to support it - Richard Harrington, Alistair Burt and Steve Brine. Why did Theresa May oppose it? The British Prime Minister warned that allowing parliament to take control of the House of Commons agenda, which is normally determined by the government, would set an "unwelcome" constitutional precedent. But she said she was "sceptical" about the process and would not be bound by its outcome, which she warned could produce "contradictory outcomes or no outcome at all". or a referendum on any of these possible outcomes. So far, Mrs May has secured no more than 242 out of a possible 650 votes for her deal, and she admitted at the start of this week that she cannot guarantee a majority for it. 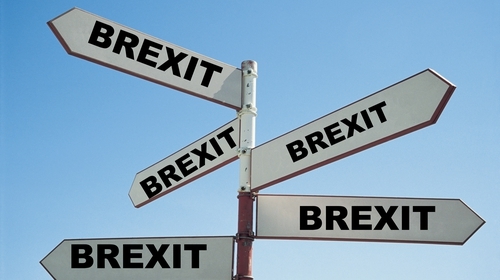 A "softer" Brexit involving participation in the customs union or single market may come closer to commanding the support of more than half of MPs, but it is not thought likely that either no deal or no Brexit would come out on top. This would depend on the voting system. If MPs were asked to vote 'Aye' or 'No' on each proposal in turn, there is every possibility that all of them would be rejected. However, Mrs May's effective deputy David Lidington is understood to have floated the possibility of using a different system which would guarantee a result. It is a very rare parliamentary procedure. In 2003, MPs voted on seven options for reform of the House of Lords and rejected every one of them, with the result that proposals for a partially or fully elected second chamber ran into the sand and have never been revived. Why haven't MPs voted on these things yet? The only real opportunities to vote on alternative Brexit options in the House of Commons have come in amendments to Mrs May's "meaningful votes" on her Withdrawal Agreement and motions following its defeat. However, in a tribal Commons, many MPs are reluctant to back a proposal tabled by their opponents. It is far from certain the results would be repeated in an indicative vote.